She made it! 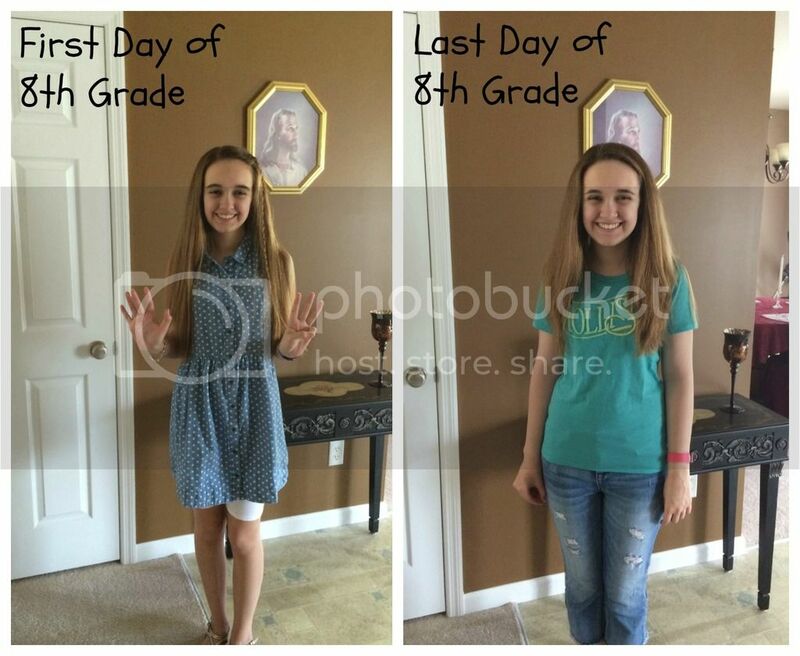 We have officially promoted Amber to 9th grade, and thus given her the status of a high school student. I still can't believe it happened, yet it is done. Wow! She really did grow too. She's even shoe-less in the last day picture. And the hair!! It has been a rough week though. 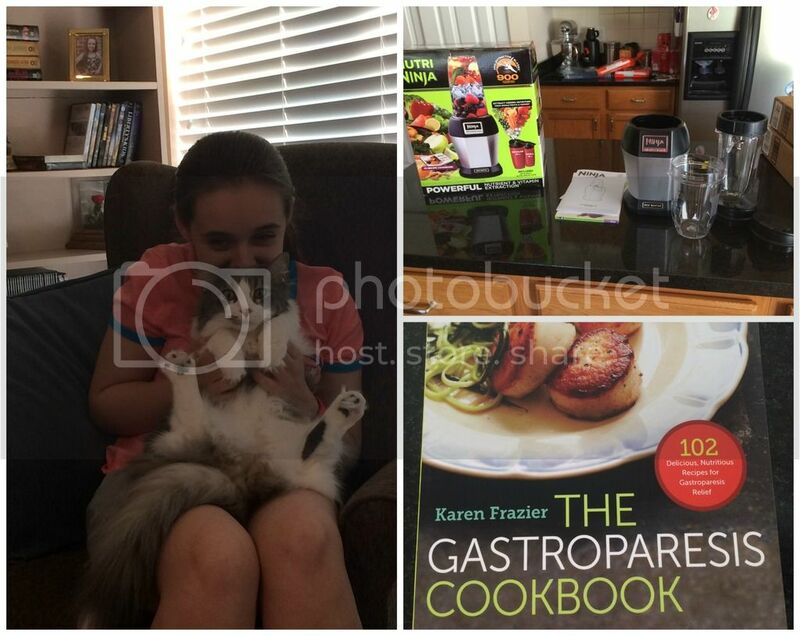 Amber's transition off of Reglan for her gastroparesis did not go well. She had one day of eating before her symptoms kicked back in and nothing digested on Saturday (yes, my birthday). We've had to do some crash learning on how true gastroparesis eating varies from her previous dietary needs, because she will be off of the Reglan for a total of 21 days before she can start again. I've chatted with GI already to ensure I'm doing all I can between medication cycles. We visit with the GI doctor towards the end of those 21 days to make final decisions on future treatment. Amber clearly was not getting the nutrients she needs and that triggered a downward dysautonomia spiral by Sunday. She is delicately balanced in order to be functional, and Saturday put her over the edge. Her whole body was just wrong for a few days, however she's made great improvements over the week and is back to functional. She even fully participated in back to back PT and OT this afternoon! I replaced my 20 year old leaking blender so it's easier to make smoothies, and acquired a couple of books to help me feed Amber better. I had hoped she could finish eighth grade with a bang, but the actual lessons were not as productive as my plans. Still, Amber finished Early Modern History! Tapestry of Grace Year 2 is done! There is not one bit to complete during Summer school, and that was my final goal for her. While I would have liked IEW writing to also be complete, it is more of a continuous subject anyway. She's close with IEW while still making steady progress, so that's all I can ask for. Despite extreme exhaustion and problems with her heart rate this week, Amber has kept up with her cardio exercise - even when she could only do 10 minutes on the recumbent bike. She pushed through to ensure she doesn't entirely de-condition. We did have to skip flute lesson this week though, since Amber's heart wasn't responding to the beta-blocker very well that day (or on Sunday) and her breathing was labored just walking around the house. 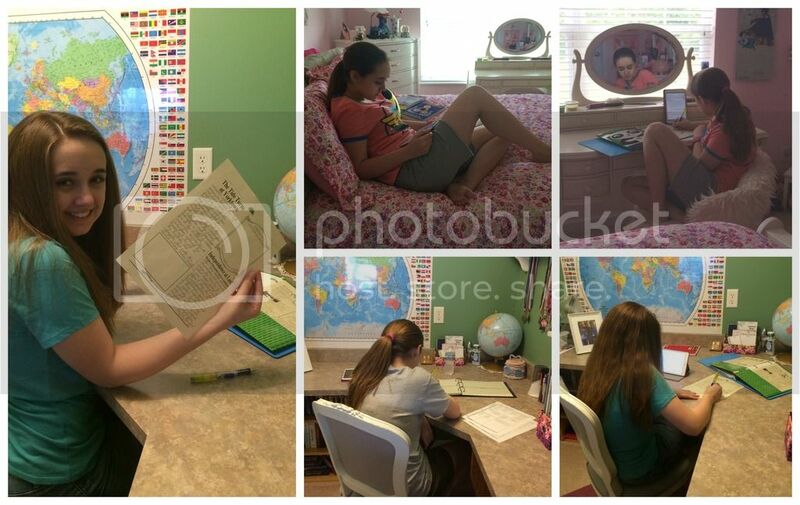 Her last 8th Grade assignment, plus work throughout the week. We did make it out of the house with Amber at least once a day too. There have been her regular appointments at Children's, a slow and GP friendly lunch out with Grandma, strategic clothes shopping because Amber outgrew all of her shorts from last year and only had a couple pairs that we picked up a few weeks ago, and a trip to Target for "stuff". Next week Amber starts her Summer school schedule: no more than 2 subjects per day. We also skip lessons on days when fun is to be had, for example her first day of Summer school will actually be a no lesson day since we have plans with friends. Hours recording for 9th grade begins on July 1st, with the official start being August 1st. Goodbye middle school years - you were fun! Congratulations, Amber! I hope you feel better. You guys have a great Memorial Day weekend! I do hope Amber is feeling better now.